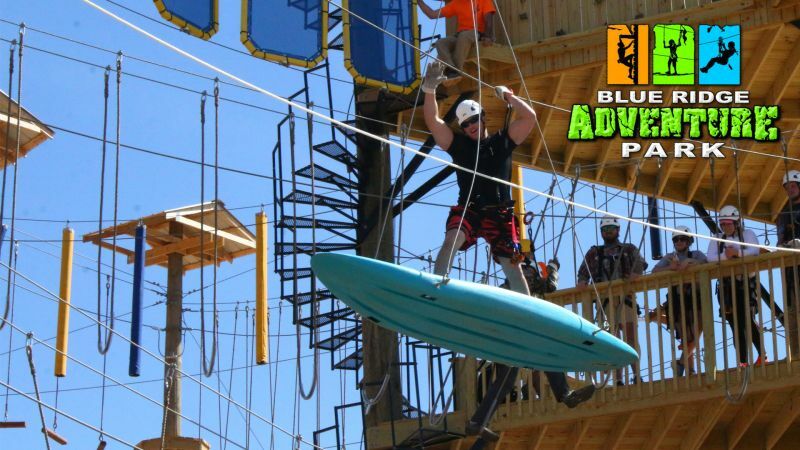 Blue Ridge’s premiere Aerial Adventure Park is an obstacle challenge course in the air featuring suspended bridges, tight ropes, climbing walls, ziplines, and other fun obstacles for every age and ability. Each participant will be clipped in to a safety line while on the challenge course. These courses become progressively more difficult and are designed to challenge you both mentally and physically.